Airbus’ design, quality, performance, safety, and comfort set the standards for aviation. With about 25,000 daily flights, Airbus aircraft are taking off or landing every 1.4 seconds. To meet the needs of the growing aviation industry — expected to double customers in the next 15 years — Airbus needed to significantly ramp up aircraft production while decreasing costs and improving efficiency in a sustainable way. Since the company's legacy systems could not support this massive growth, Airbus needed to revolutionize its approach to IT — transforming this manufacturing company into a technology company. Airbus needed to adopt new technologies that would enable the company to be agile and secure, and deliver new solutions to market faster. To meet this goal, Airbus formed a team within the IT department called the “Digital Accelerator,” with the mission to apply digital technologies to transform the way Airbus builds aircraft. One of the Digital Accelerator’s first decisions was to implement Anypoint Platform to drive digital transformation and enable an API-first strategy across the organization. With MuleSoft, the team is building a library of reusable APIs which can aggregate data from multiple backend systems and make it accessible and consumable to deliver real business value to multiple stakeholders. The APIs developed through Anypoint Platform put critical data in the hands of employees on the front lines. Previously, shop floor operators had to rely on physical workstations to access key information about airplane parts, plans, and project status. The constant back-and-forth from workstation to shop floor – plus the fact that the production team did not have a real-time, consistent view into their projects – caused significant delays in the manufacturing process. Using MuleSoft, Airbus built an application that shop floor operators can access from their personal mobile devices to gain real-time visibility into parts and projects. Through APIs, Airbus unlocked data from cloud and on-premise systems – including multiple SAP systems like SAP S/4 HANA and Skywise, a customer big data platform – bringing this valuable data together to reduce time to market of new aircraft. 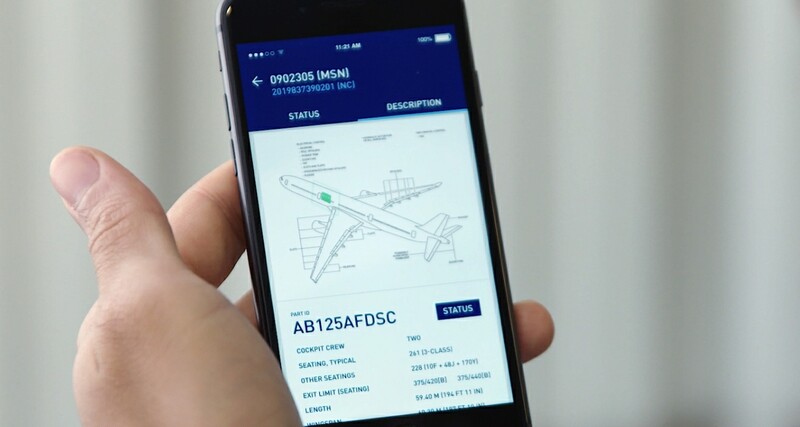 “MuleSoft allows us to give employees on the shop floor direct access to data to make better, faster, educated decisions,” explained Pierre Bornancin, API Team Lead, Airbus, adding that a shop floor operator can scan barcodes on aircraft components and quickly gain access to relevant information––speeding up the process. By taking an API-led approach, Airbus is reusing the same APIs built for the mobile app to provide data to other stakeholders. With this new approach to creating a composable enterprise, IT is moving from the back office to driving critical change that will impact the entire business, and ultimately deliver more value. “With fast data access, MuleSoft empowers us to improve how we manufacture aircraft, and how we deliver our customer experience,” Taylor said. By easily developing and reusing APIs through Anypoint Platform, Airbus streamlines the development process and cuts time to market for IT services. The business value ultimately means being able to manufacture aircraft faster, without sacrificing quality. For example, MuleSoft enables Airbus to unlock ERP data and provide data access through self-service options; this directly accelerates the manufacturing and supply chain processes and reduces the time required to deliver new aircrafts. In just three months, Ube developed and deployed 1,100 highly available interfaces for 100+ SAP ERP, Oracle, and legacy, apps using Anypoint Platform.